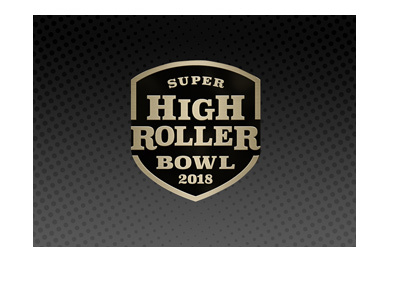 The Super High Roller Bowl got significantly tougher to win this week. To start, Steffen Sontheimer, who is widely regarded as one of the top young poker players in the world, will be taking the place of Andrew Robl in the event. As of that weren't enough, tournament organizers announced yesterday that Phil Ivey would also be playing in the event, as he will be taking the place of Tony G.
With the tournament set to get underway on Sunday, this means that just one seat remains open - the seat that will be claimed by the winner of the $10,000 Super High Roller Bowl satellite. Ivey showed up at the Triton High Roller Series Montenegro last week, proving that he was in top form after taking down a preliminary event and finishing in third place in another. It was just another week at the office for Ivey, as he emerged from a long period of inactivity to collect over $2.2 million in cashes. Ivey has been distracted over the past couple of years with ongoing litigation involving both the Borgata and Crockfords, though those cases are largely over now, giving Ivey time to focus on what matters most - poker. During the Triton High Roller Series Montenegro, Ivey indicated that he was likely going to be travelling to Las Vegas to take part in the World Series of Poker. Fresh off of two strong results, Ivey was eager to take part in the $300,000 buy-in Super High Roller Bowl at the ARIA, and he ended up getting a spot. There was literally no way that tournament organizers wouldn't find a spot for Ivey, as he injects even more star power into the event. With Ivey's addition to the event, the field will now include the likes of Ivey, Daniel Negreanu, Antonio Esfandiari, Erik Seidel and Justin Bonomo. The 48-player field will be battling for a piece of the $14,400,000 in total prize money, with $5 million going to the eventual winner and $3 million going to the runner-up. The top 7 spots will pay out a minimum of $600,000. The tournament will run from May 27th to May 30th.